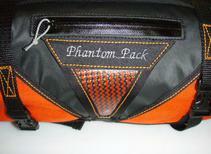 The Phantom Pack Rough Ride Handlebar Bag is built for that purpose,Hard Rough Riding. 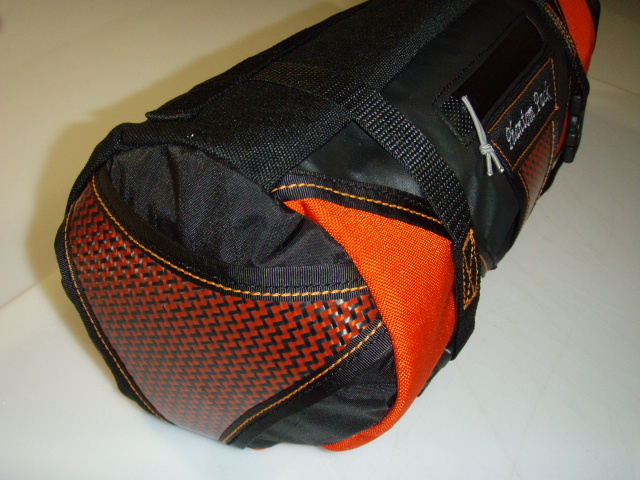 Some companies prefer to used the wrap around style piece of fabric with straping to hold a separate bag. With the Rough Ride,You get complete protection for your ultra-lite gear. This specially designed bag fits well,With room for a small tent with poles,Sleeping bags,etc. 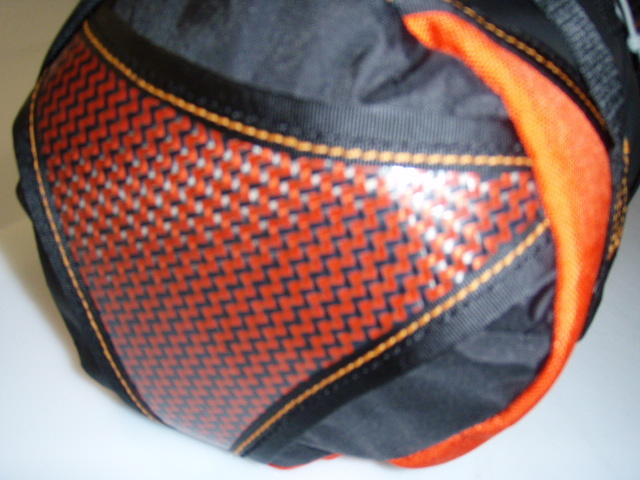 -Durable Hypalon and 1000d Cordura make up the main panels of the bag. -Dimension polyant Vx-21 roll up closure system on left end. Semi-rigid Carbon fiber or Kevlar/Carbon protective end piece on right end. -Front storage pocket features YKK water resistant zipper and slider. 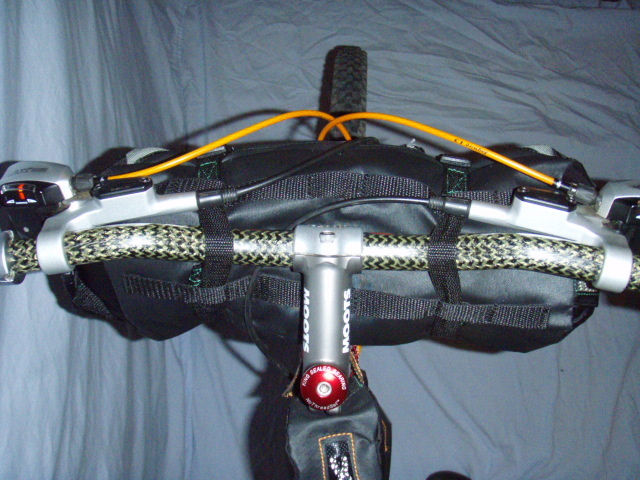 Multi-purpose attachment webbing on bottom,back and top for attaching add on bags. ​Note-Headtube badges that have rough/sharp edges should be covered with some packing tape to prevent premature ware of bag. The Phantom Pack Rough Ride handlebar bag will take the worry out of ripping trails,Without ripping your expensive ultra-lite gear!